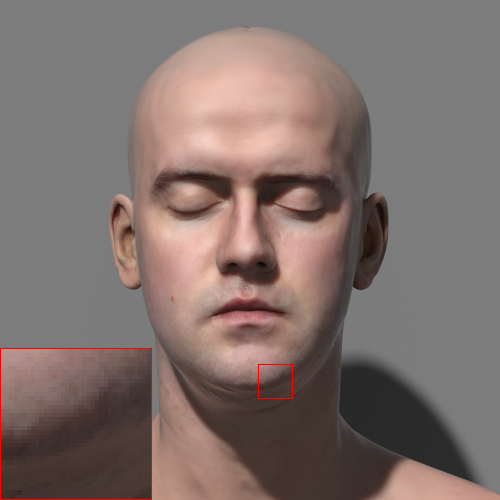 Guerilla Render includes an experimental denoiser and supports the InnoBright Altus denoiser. The denoising is a post process which is done after the rendering. The denoiser needs some special AOVs to achieve a good result. Choose the denoiser you want to use using the RenderPass > Denoising > Denoiser attribute. Add the Ncam, Pcam and Albedo AOVs in every layer to denoise. Make sure the AOV > Denoiser attribute is checked for every AOV to denoise. How to keep a noisy version of my AOVs ? You may want to keep the original (noisy) version of some AOVs. Duplicate the AOV and rename it, like BeautyNoisy. Uncheck the AOV > Denoiser attributes. Check the RenderPass > Denoising > Altus Only Files attribute. Guerilla renders the files for Altus (two images for every output image) but won't execute Altus. Guerilla displays in the console the commands to run to denoise the images with Altus. Modify the RenderPass > Denoising > Altus Command Line attribute. Guerilla will complete the command with the images filenames. The -g option enables the GPU. Remove it to use the CPU. Check the Altus documentation for other options.